Hawaii draws people in with pristine beaches, a laidback attitude, and the cool feeling of relaxation. But what about the food? There are so many Hawaiian-only dishes around that really make the destination spot shine too. When we went to Oahu, we sought these out with our friend who grew up on the island, so you can bet that we ate a lot of poke that trip. However, that wasn't all that the beautiful vacation held in store for us. 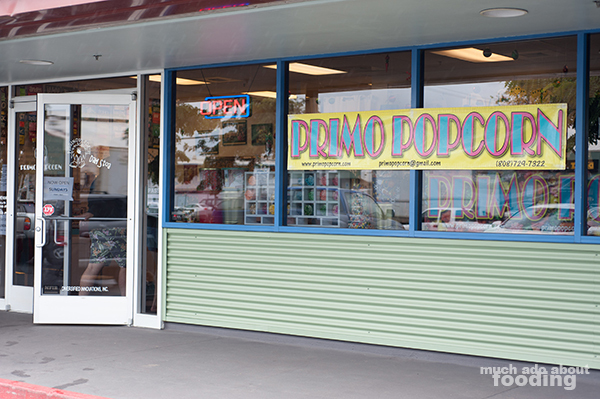 We got the local's pick that week on where to go to load up on some of the best snacks around. I mean, one of these places was already on my list of spots to check out but not the other two and boy oh boy, were we glad to have gotten our hands on those! 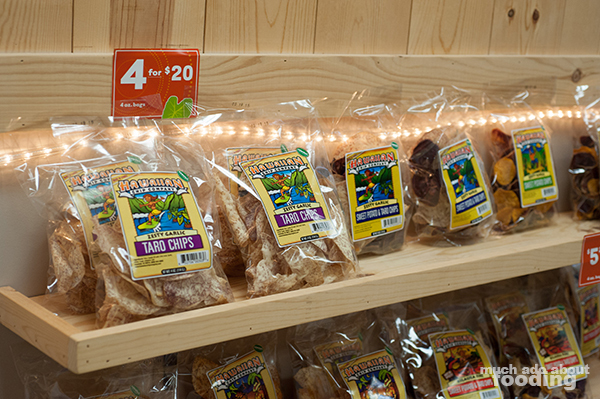 So what are the three snack stops you must make on Oahu? 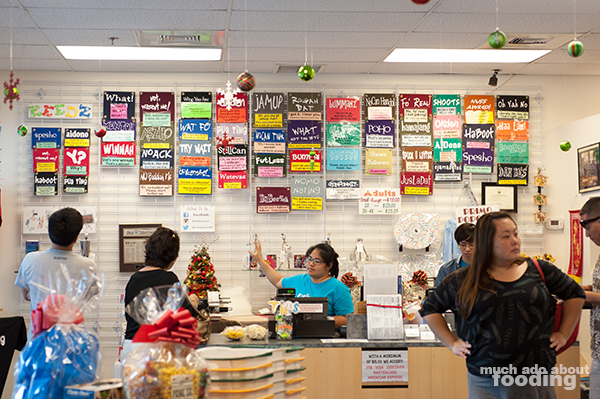 Leonard's Hot Malasadas, Primo Popcorn, and Hawaiiian Chip Company! The malasada. It was a name that I had heard in passing once but was unaware of its true nature. 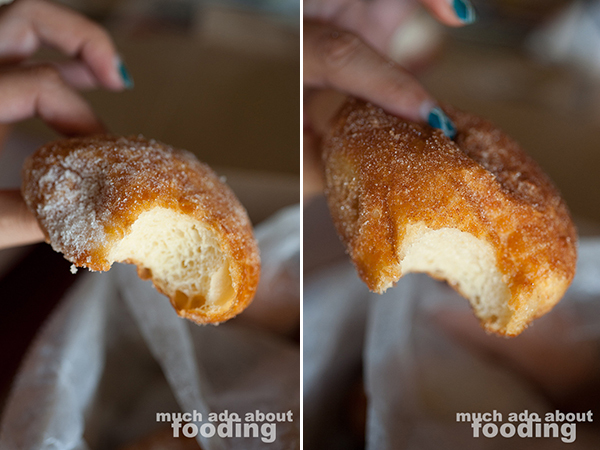 Having my first malasada at Sidecar Doughnuts in Costa Mesa made me curious about what the Hawaiian favorite was supposed to be like. 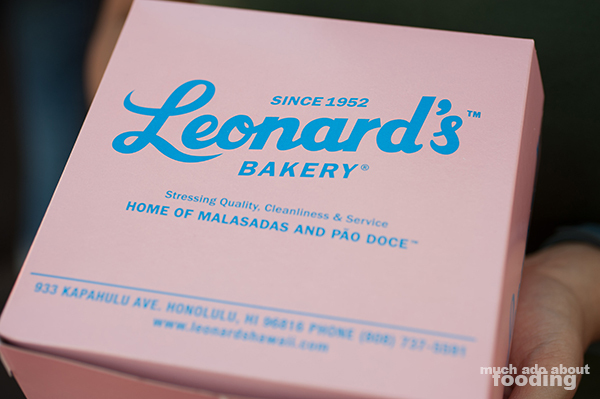 We were told we had to have some from the iconic Leonard's Bakery with it distinguishable pink box and blue lettering. There are several outposts for the famous bakery but one popular one is a white and red striped food truck that is always parked near the highway in a shopping plaza. How convenient that driving along the main highway, you see the truck from any lane; it's a great reason to just hop off the exit and swing by for a dozen or two. There is always a line, our friend claimed, but it moves quickly as the makers inside the truck fry up the bad boys constantly. We just had to dig into every flavor they had available...so we did! 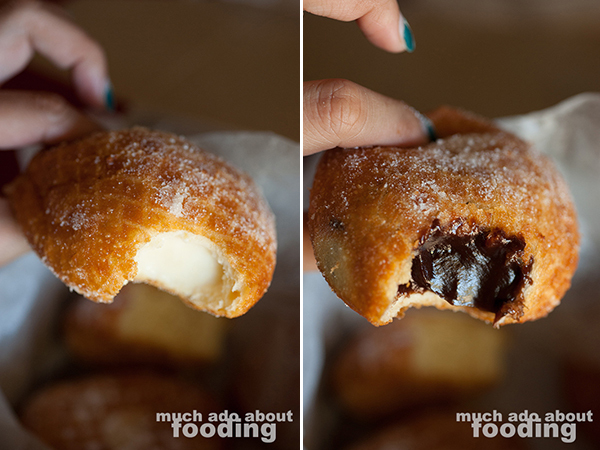 There are two ways you could have your malasada - flavored by a coating or filled with a cream. Uh, how do you choose? Buying a dozen meant we didn't have to, hah. 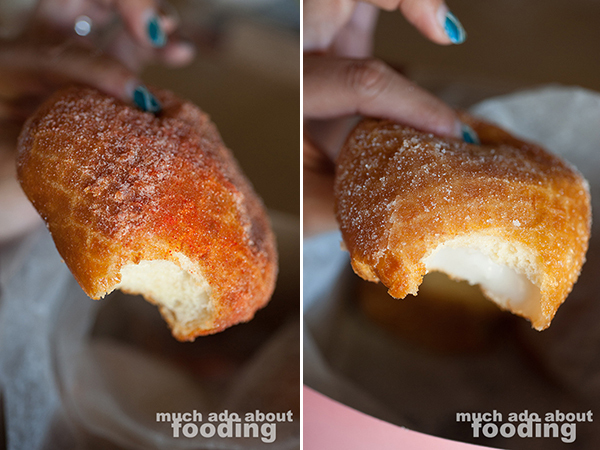 The original malasada is just coated with sugar. 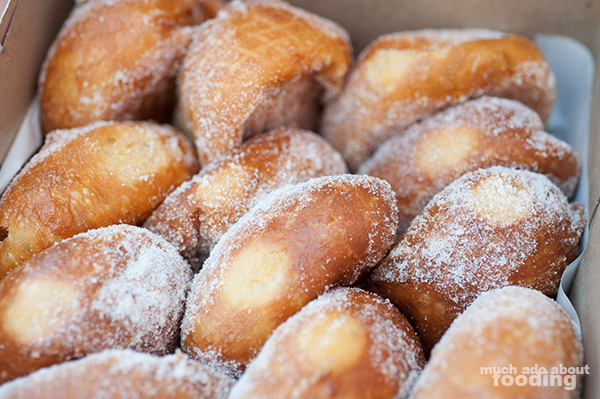 Who knew that fried dough coated in sugar could taste so good? Fluffy and hot, it was just the perfect snack for the afternoon. Two other varieties had cinnamon and li hing which were pleasant sweet and tangy options each. For filled, you could choose haupia, custard, or even a chocolate, all of which were very rich and creamy. 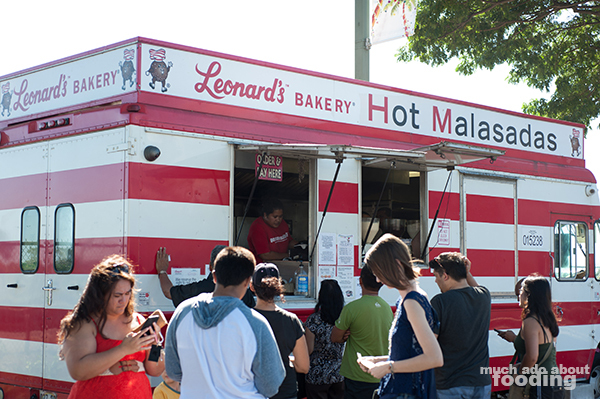 Getting just a single malasada sets you back just a little over one dollar so why not get a whole dozen so you can try them all? Popcorn is one of my greatest weaknesses. This is not a lie, and judging by how many bags of popcorn I ended up purchasing at Primo Popcorn, I have proof. I just enjoy how snackable it is and how savory it can be. It can be plain popcorn with a little bit of sea salt or it can be flavored. 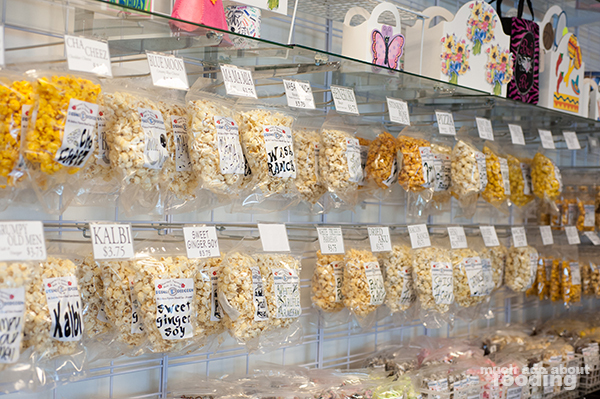 Primo Popcorn specializes in having what seemed to be hundreds of flavors from savory to sweet. You are almost overwhelmed right when you walk in. However, there is help to the rescue in the form of samples! They'll gladly share the flavors dwith you to help you decide what to finally purchase whether it's a kalbi, bacon and ranch, blue raspberry, or strawberries and cream. Some of the most popular ones would likely catch your eye too. We veered towards the really savory ones as I do not have a sweet tooth. 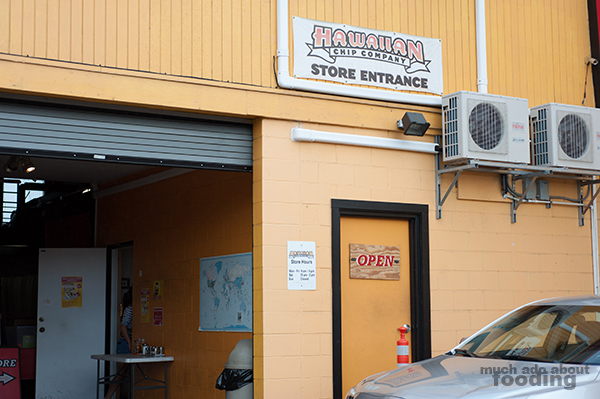 Goodies like cheddar bacon and "Movie Night" were a part of the haul, and if anyone plans on going there when they're in Oahu, bring me something back! 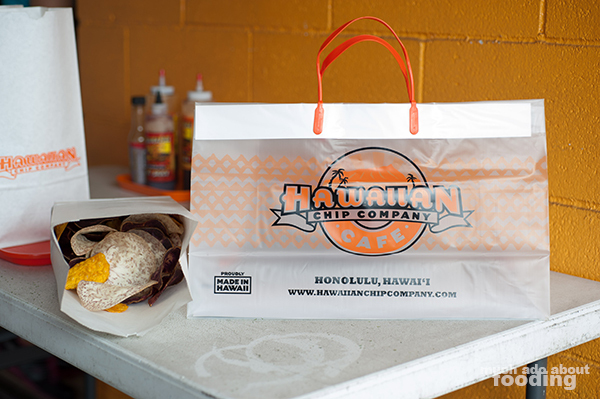 You might think that a chip company would make your typical potato chip but Hawaiian Chip Company does something a little different. They go for different types of tubers - taro, sweet potato, and purple yam. Considering the Asian influences that permeate the food and culture there, this didn't come off as surprising. 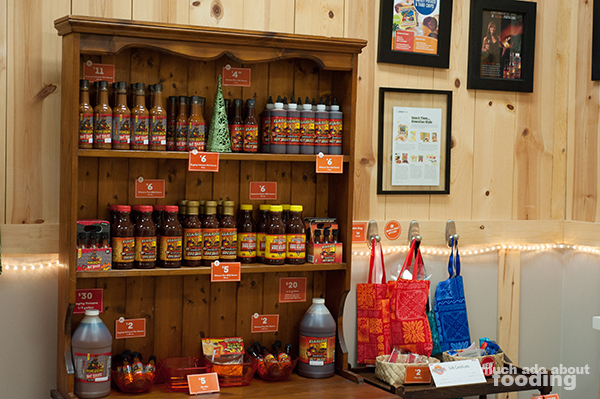 The store itself is a little hard to get to since the entrance is tucked in what is practically an alleyway but the location is brightly visible in its bold orange. We walked into a small storefront to purchase some of their bags of chips but also to get freshly fried ones too. Make sure to ask for those because they make the trip worthwhile. Freshly fried, these chips are hot and salty with the ability to enhance the flavors even further if you eat them on-site. Canisters of seasoning such as furikake and smoked BBQ are some which you can add. I liked throwing on a lot of nori into my bag. Make sure to take some home with you fresh as well as the gift boxes. They definitely survived the plane trip, and if you're not keen on taro chips, there were also hot sauces bottles to buy too!